The Ibex is a robust mountain paraglider, designed to meet the requirements for para alpinism. If the wind is a bit stronger, the small surface area offers clear advantages, both on launch and in-flight. This makes the IBEX very interesting for soaring in high wind speed. The minimum sink rate is only increased by about one third, so it’s also possible to gain height in good soaring or thermal conditions. This means that the application spectrum of the IBEX is very big. The fun which the IBEX offers to his pilot might be even bigger. The wing reacts immediately and very dynamic to steering inputs, offeringa flight behaviour that can’t be experienced with a normal size glider. Before we started the development of the IBEX, we questioned, if the usual conception of “standard size” mountain-paragliders really meets the requirements for para alpinism. To reach an acceptable weight you have to use very light fabric. The disadvantages concerning longevity and robustness are obvious. Also the small speed of usual mountain-paragliders can be adversarial in strong wind conditions. That’s why we decided to follow a new path with the IBEX: Our considerations were not how much weight we could save on a “normal size” wing by using the lightest available materials. We wanted to find out, “how much glider” is necessary for a mountaineer's wing. So we reduced the area until it corresponded to our idea of the ideal mountain wing. We were very careful about the chosen fabrics: Light cloth is only used where little strain can be expected. That is on the bottom sail and on some inner parts like on unsuspended ribs. The whole upper sail and the suspended ribs and diagonals are made of a robust 40g cloth which is already in successful use in other NOVA wings. We also renounced superlight risers and simply used a little narrower standard-risers to make the handling more comfortable. All this makes the IBEX a very robust glider without losses in terms of robustness, which is a big advantage for a mountain-glider. (e.g. on stony take-off places) Nevertheless the IBEX15 weighs less than 3kg! 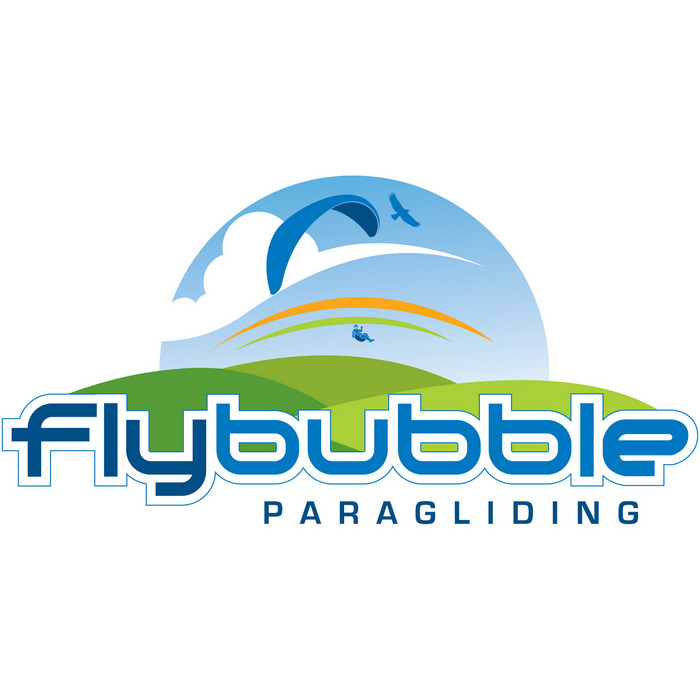 We profited a lot from our experience with the SPEEDMAX, the ROOKIE based paramotor wing, which stays very safe with high wing loading: The SPEEDMAX19 (based on the ROOKIE XXS with 19sqm) is certified by DULV to a maximum takeoff weight of 150kg. That’s why we knew, that the ROOKIE concept stays safe, even with very high wing loading. In addition, the SHOCKWAVE thaught us that even such a 12sqm race-wing can easily be foot launched. The first prototype of the IBEX, with 15 square metres, confirmed our expectations regarding the take-off behaviour: The raising up phase with the small wing is clearly shorter, than with a ROOKIE in standard size. Even with tail wind a few steps are enough, and the wing stands cleanly above the pilot. Of course the take-off speed is a little higher, than with a ROOKIE in Size M. However, this difference amounts only about 5 km/h, which proved to be no problem. In sum the whole take-off distance stays quite the same due to the shortened raising up phase. If the wind is a little stronger or bumpy, the small IBEX offers clear advantages, because the handling of the small wing stays relaxed, where you might have the problem of being lifted involuntarily with a bigger glider. Of course the advantage in strong wind conditions continues in flight. With 100 kg of total weight the IBEX 15 flies about 10km/h faster at trim speed than a equally loaded ROOKIE M. The difference in maximum speed is even bigger. This makes the IBEX very interesting for soaring in high wind speed. The minimum sink rate is only increased by about one third compared to a ROOKIE M with the same pilot’s weight. It’s also possible to gain height in weaker soaring or thermal conditions. So the application spectrum of the IBEX is very big. The fun which the IBEX offers to his pilot might be even bigger. The wing reacts immediately and very dynamic to steering inputs. In combination with the damping and forgiving characteristic of the ROOKIE concept, the IBEX offers a flight behaviour that can’t be experienced with a normal size glider. The IBEX would be no NOVA wing if it did not fascinate by its performance. In spite of the small size the IBEX15 looses only one point in L/D (lift drag ratio) compared to the ROOKIE M. If you fly in sinking air or against the wind, the small IBEX even outglides the big ROOKIE due to its higher speed. In spite of the dynamic response, also on small brake inputs, the available brake travel stays quite big. Also the well damped flight characteristic shows that the IBEX is the little brother of the proven ROOKIE. Asymmetric collapses at trim speed are no problem for a pilot with some routine. Because of the high wing loading the IBEX is very collapse resistant in practical conditions. Accelerated collapses are clearly more demanding. One should be clear about the fact that many mountain-paragliders hardly reach the trim speed of the IBEX when flying fully accelerated. So it’s understandable that the reactions are quite dynamic at maximum speed. Of course the collapse behavior is a matter of wing-loading: With more than 80kg overall weight, you should be an experienced pilot to fly the IBEX safe in turbulent conditons. Beside the IBEX15 with 15 square metres of projected area we offer also an IBEX17 and an IBEX19. The IBEX15 is targeted at all those pilots who wish, on the one hand, a minimum of weight and pack size, and on the other hand a very agile and dynamic wing, with a speed advantage for windy days. We have flown the IBEX15 with more than 100 kg, and we can absolutely recommend it with a total weight of 100 kg for experienced pilots, who can deal with the dynamic flight characteristics. IBEX17 and IBEX19 weigh 3.4 kg and 3.8 kg which makes them still very light mountain gliders. The bigger area has a big effect on the flying characteristics. The glider dives less, when turning, which makes them more efficient for thermalling. How ever the agility is of course still clearly higher than on normally loaded wings. If you are unsure about the best size, a test flight can make things clearer.